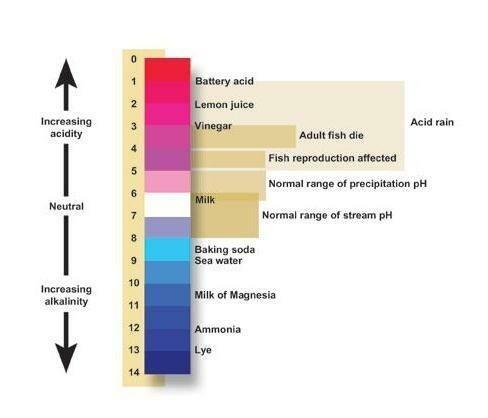 Alkalinity means acid neutralization capacity of water. When we add acid in water (adding H+ ions) water absorbs H+ ions without showing significant change in pH mainly it is due to carbonate, bicarbonate & hydroxide ion present in water or the mixture of two ions present in water. The possibility of OH– and HCO3– ions together is not possible since they combine together to form CO3-2 ions. In alkalinity analysis different ions can be estimated separately by titration against standard acid solution, using selective indicators like phenolphthalein and methyl orange. The neutralization reaction up to phenolphthalein end point shows the completion of reactions (1) and (2) only. The amount of acid used thus corresponds to complete neutralization of OH– plus half neutralization of CO32–. The titration of water sample using methyl orange indicator marks the completion of the reactions (1), (2) and (3). 1.Phenolphthalein alkalinity (P) = 0; that means the volume of acid used till the completion of reaction (1) and (2) is 0. This can only happen when both OH– and CO32– ions are not present in water. 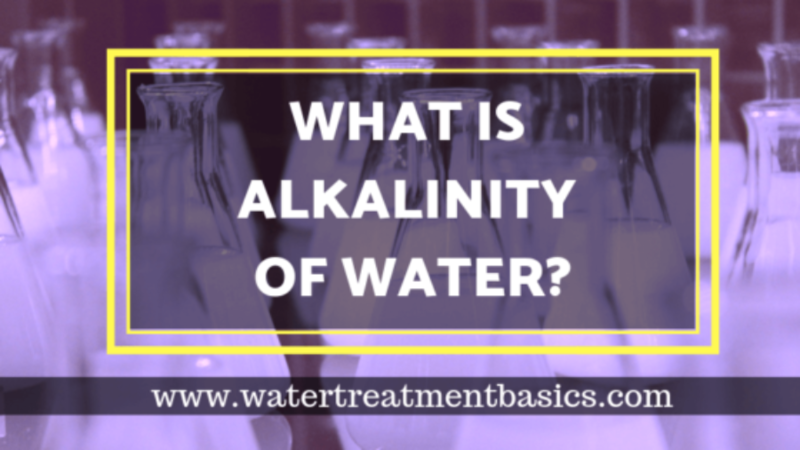 Alkalinity is present due to HCO3– ion only which can be determined using methyl orange indicator and called methyl orange alkalinity (M). 2. P = ½ M; indicates that only CO32– ions are present. Using phenolphthalein indicator neutralization reaches upto HCO3– but using methyl orange indicator the complete neutralization of HCO3– takes place. 3.P > ½M; implies OH– ions are also present along with CO32– ions. Upto phenolphthalein alkalinity OH– ions will be neutralized completely whereas CO32– will be neutralized upto HCO3– ion. But using methyl orange indicator HCO3– will be completely neutralized along with OH– and CO32–. 5.P = M; indicates only OH– ions are present. Alkalinity of water is very important parameter in boiler water treatment program. Based on alkalinity analysis we can predict the presence of free caustic as mentioned in above table. Free caustic is responsible for caustic corrosion in boiler system. Simple defination of hardness is the amount of calcium & magnesium ions present in water. It is divided in two parts carbonate or temporary hardness and non-carbonate or permanent hardness. It is a major source of scale in water systems i.e.boiler water & cooling water systems. Softening is proven method for removal of hardness from water. Carbonate and bicarbonate ions are responsible for this type of water hardness.It is also known as temporary hardness because it removes from water when we boil the water. When we boil the water carbonate & bicarbonates ions present in water decomposes & insoluble carbonate is reformed.Boiling the water causes the precipitation of calcium and magnesium carbonate so that, calcium and magnesium ions are remove from water. 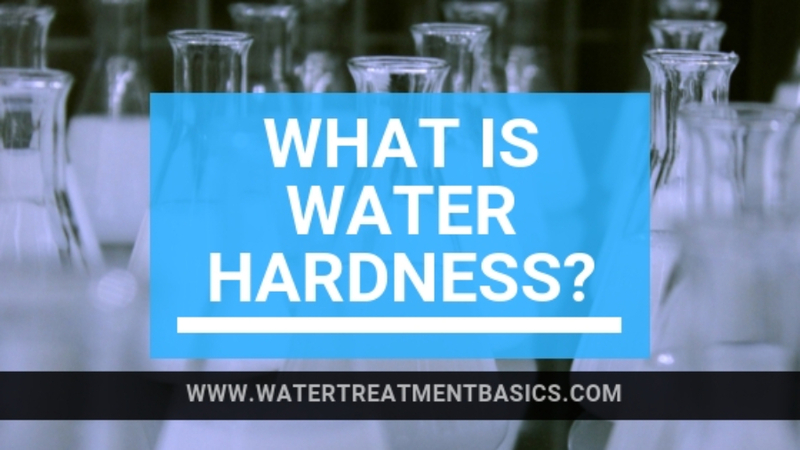 Chloride and Sulfate (non-carbonate) ions are responsible for this type of water hardness.It is also known as permanent hardness because it isn’t remove from water by boiling it. It is only remove from water either by softening or demineralization process. As a general rule for classification of hardness, Water having hardness below 60 ppm is considered as soft water,61 ppm to 120 ppm as moderately hard; 121 ppm to 180 ppm as hard & above 181 ppm as very hard. Water harness analysis divided in three parts namely total hardness,calcium hardness & magnesium hardness. Total hardness is a sum of calcium & magnesium hardness. To determine total hardness ammonia buffer solution is added to the sample to maintain the pH of around 11. Then Eriochrome Black T indicator is added so the wine red color is developed in the sample. After that sample is titrated against EDTA solution and sample color will change from wine red to blue. This is the end point of total hardness titration. Determine the calcium hardness by titration sodium hydroxide solution is added to the sample to maintain pH & then murexide indicator is added. Sample color turns into pink & titrate the sample against EDTA solution this time sample color will change from pink to purple. This is the end point of calcium hardness test. Magnesium hardness is the difference of total hardness & calcium harness value. It is determined by subtracting calcium hardness value from total hardness value. In Conclusion, Water hardness is a major source of scale in water treatment system. 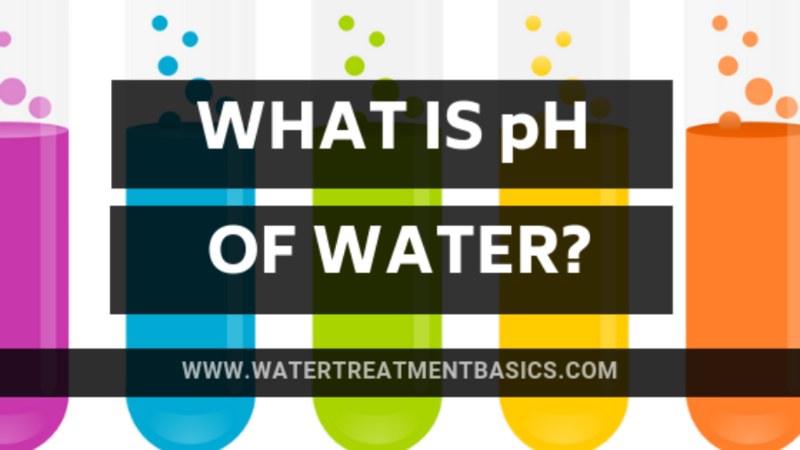 It is very essential to remove it from water by selecting proper water treatment program. 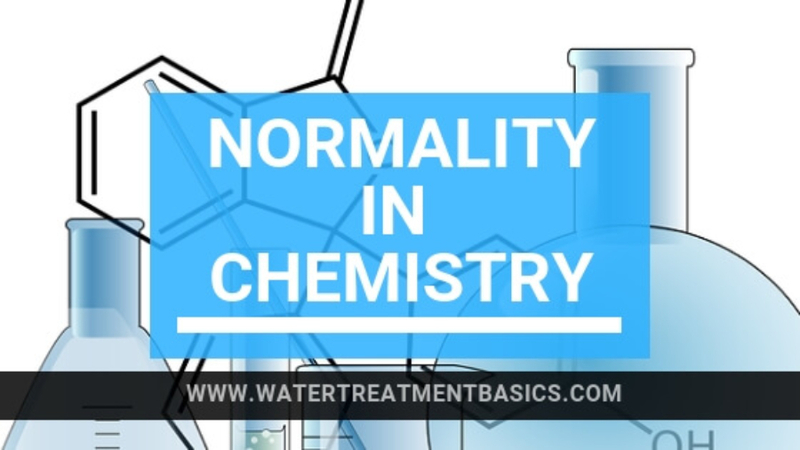 Normality in chemistry is very important term & very useful to making reagents for analysis. Unfortunately, many professional even experienced professionals don’t have the clear basics concept of normality. I guarantee you after reading this article you have solid understanding about normality & its calculation. Defination: Normality in chemistry means numbers of equivalents per liter of solution.It is denoted by symbol N.
Another very important factor is how to calculate the equivalents of substance.You can easily calculate equivalent by dividing molecular weight by its valency. Let’s take example and calculate numbers of equivalents of Hydrochloric Acid & Sulphuric Acid. What is valency in chemistry? How to calculate normality of concentrated hydrochloric acid? Specific gravity means the substance is how much heavier or lighter in compare to the water. It is unit less because it shows the comparison. Assay indicates the purity of substance in percentage. To convert percentage in decimal simply divide assay by 100. How to calculate normality of concentrated sulphuric acid? This is very handy tool for science student to make reagents for analysis. You can easily calculate normality of any concentrated acid or base liquid solution by using this normality calculator. In conclusion, Normality or equivalent concentration of the solution indicates how many equivalent are present per liter of solution. 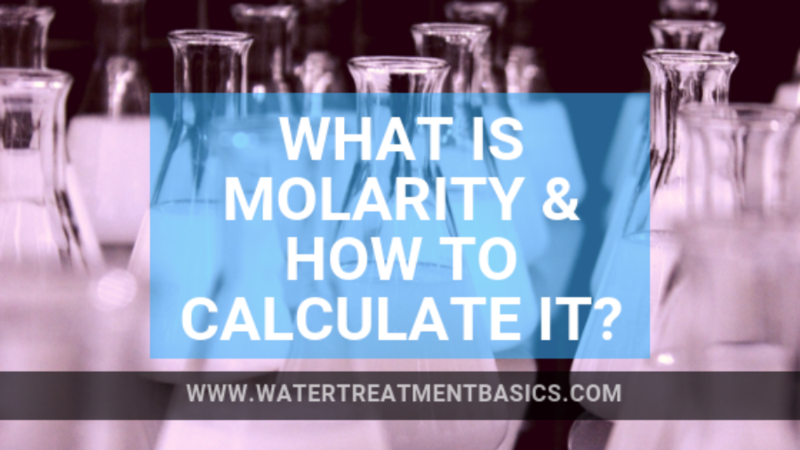 To understand molarity concept first you need to know what is mole & How to calculate it. To calculate mole we take example of Sodium Hydroxide(NaOH). Suppose, we dissolve 40 gm of NaOH in one liter of solution then what is the numbers of mole present in this solution? In conclusion, simplest definition of molarity is when we dissolve substance exactly the same weight as its molecular weight in one liter of water then the molarity of the solution becomes 1M . How to calculate Molarity of concentrated HCl? Please note that all of the above information you can find on packing lable of solution. So,finally the molar concentration of concentrated solution is 11.46 M.
Molarity Calculator is very handy tool for science student to make reagents for analysis. You can easily calculate molarity of any concentrated acid or base liquid solution. All you need to do is only enter the three values which is mentioned on label of reagent bottle. Hope, This article will clear your concept about molarity formula & its calculations.